Billie Eilish’s meteoric rise to global stardom has been nothing short of phenomenal and arguably unparalleled to date. 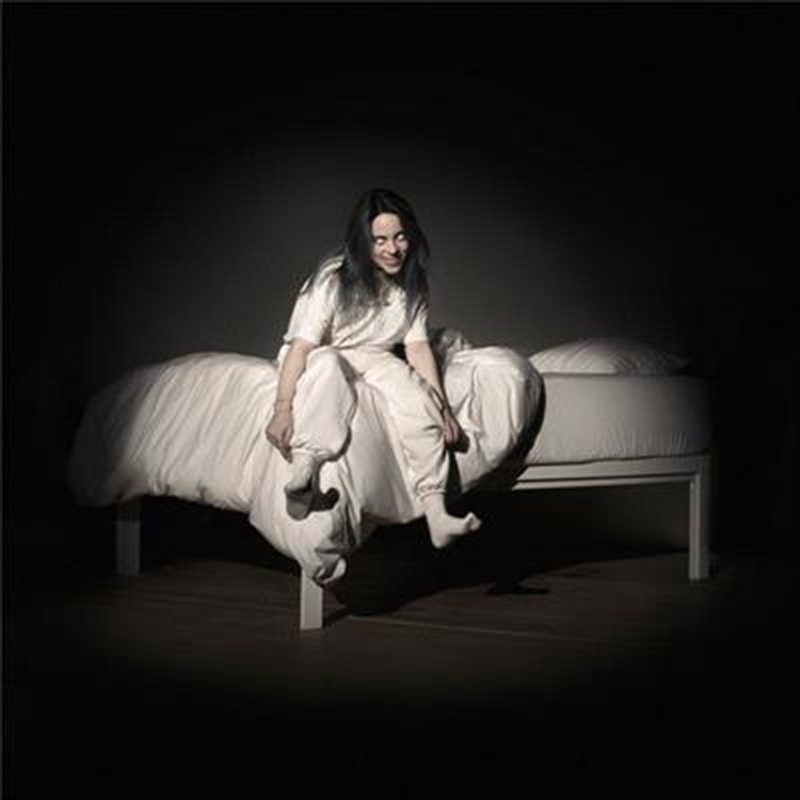 “"WHEN WE ALL FALL ASLEEP, WHERE DO WE GO?” was written, produced and recorded entirely by 17-year-old Billie Eilish and brother Finneas in their childhood home of Highland Park, Los Angeles. Recorded in Finneas’ bedroom opposite Billie’s, the pair spent most of 2018 writing songs on the road, then spending many days and nights when off the road, at home, recording the album. The album reaffirms Billie Eilish’s place in the music world, always ahead of the curve, never compromising her sound or vision. ‘you should see me in a crown’, ‘wish you were gay’, ‘when the party’s over’ and ‘bury a friend’ give you the moody moments that you are already acquainted with as the rest of the album shocks and impresses with equally strong tracks. ‘all the good girls got to hell’ is controversially dark as she makes reference to christian symbolism but the albums most vulnerable and darkest moment is ‘listen before I go’ which is a plea to a lover before she commits suicide. It’s a very in your face song with an emotive underlining message which is to listen and care for the ones you love. ‘my strange addiction’ is the albums classic groovy moment that chases the strong production acclaims of ‘bad guy’ and then follows it up with a different type of groovy on ‘ilomilo’ which is a very vulnerable moment in it’s own unique way. But she does fall into forgettable territory on ‘I love you’ and ‘8’ which don’t offer anything too innovative or new compared to the rest of the album. But overall this album heavily impresses with a dark and moody twist on growing up in this current state of the world. It’s a type of honesty that we haven't come across from an artist this young and mature. I would go as far to say that it’s just as good as Lorde’s ‘Pure Heroine’ which is one of the strongest debut albums in a decade.